Use the interactive mapping tool to view independent distributors across the country. Zoom, hover and click on each flag to get more details about the delivery area. Add multiple distribution areas to your cart to plan your next campaign. Distribution areas can also be sub-markets within any region as well. Add your distribution areas by contacting us or using the link below. Use tool to post the markets and sub-markets that you can offer distribution for. 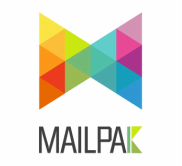 MailPak has been established to serve door-to-door distributors and advertisers across the country. Through interactive mapping tools, distributors are able to post schedules and distribution areas. Advertisers can plan a campaign by selecting distribution areas and scheduling delivery.